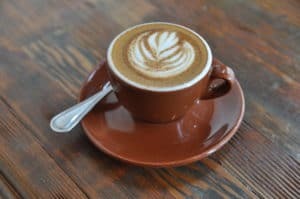 Home » Coffee Knowledge 101: What is a Macchiato? Coffee Knowledge 101: What is a Macchiato? 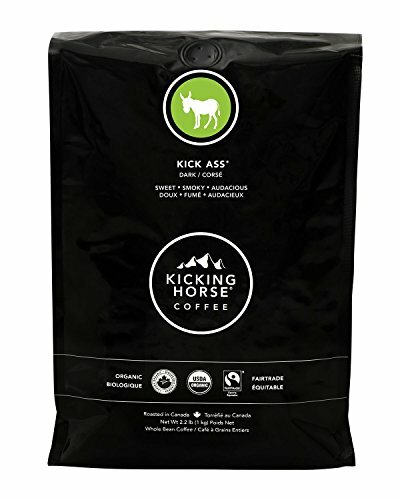 Non-coffee drinkers must think we’re nuts. Did you see that right in the middle? Macchiato is the coffee in this coffee-based confection. But, what is it exactly? If you looked macchiato up in the dictionary, it would tell you it’s espresso topped with a thin layer of foamed milk. Fair enough; is that it? Hardly. Let’s start at the beginning! A macchiato is usually served in a demitasse cup, and if you’re lucky, a barista may give your drink a customized look like the one above by getting creative when they add the foamed milk. Some people say a macchiato experience is between an espresso and cappuccino since it provides a touch of milk to soften the bold taste of the espresso, but not so much milk that the taste of the espresso is overpowered completely. 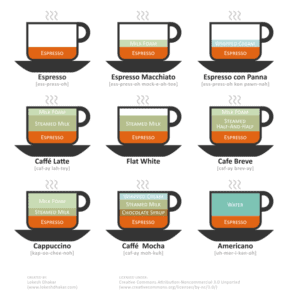 This diagram, courtesy of Food Republic, helps demonstrate how espresso serves as the basis of all coffee-based drinks with fancy names, it’s all how you add milk, water, and sugary deliciousness that determines what you call it. At this point, I’m sure you are not shocked to learn that to make a macchiato, you need an espresso machine! Preferably one with a milk frother too, unless you have another way to froth milk. Now that you know how one is made, what if you want to make one in the comfort of your pajamas? It all comes down to three essential things: the grinder, the machine, and the almighty bean. All coffee experts agree the most important element of any espresso experience is to grind whole beans each time you brew. Why? 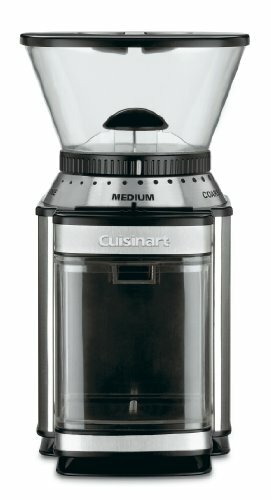 Because using pre-ground beans will give your espresso a bitter taste, and if you are going to invest in an espresso machine, you need to grind your beans fresh before each cup to get the best possible result. 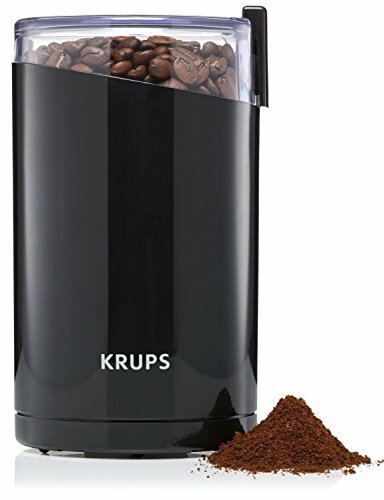 The flavor of coffee beans is released immediately after grinding. 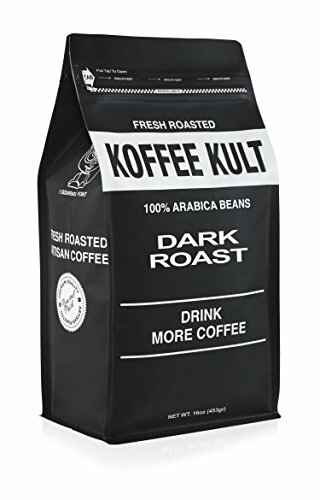 If you have ever noticed your coffee tasting bitter or burnt, it’s probably because you purchased pre-ground beans that have been sitting on a shelf for weeks in a store, or you have ground beans but they have since gone stale. When brewing an espresso, in this case, to serve as the foundation of your macchiato, you want to grind your whole beans immediately before you blast it with 135 pounds of water per square inch, extracting the flavor from these fresh grinds in under 30 seconds. If you think about it from a coffee bean perspective, it is the harshest way to brew. Instead of a Chemex pour-over method that submerges coarse grinds and then delicately drips coffee into a glass container, an espresso machine blasts finely-grounded beans with scalding hot water pounding it with heat and pressure to extract the maximum flavor from the bean. While grinding beans down to a fine powder and then blasting it that way may seem like a hellish way to brew, the resulting flavor of the espresso is heavenly. To make a macchiato, you need an espresso machine. These machines vary in features and cost, and for those new to playing barista, it can be confusing regarding which one is the best machine for you. 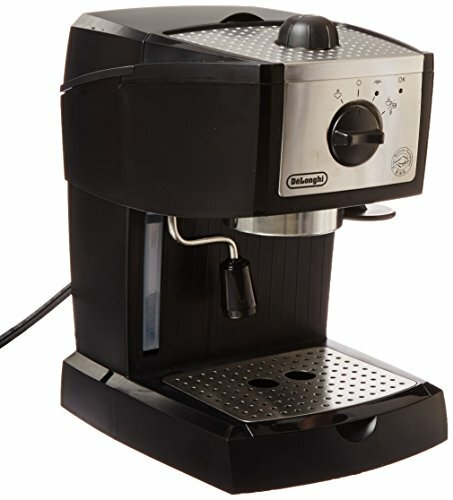 For a novice like me who has never owned an espresso machine, I don’t want to invest in a $500 model because I’m not sure how often I will use it. On the other hand, if you love espressos and plan on drinking macchiatos each morning, a higher-end model is recommended since more expensive models tend to last longer and require fewer repairs than their cheaper contemporaries. You also want to consider how you plan on steaming your milk, and if you would like your espresso machine to feature a milk frother. Price and features aside for the moment, your first decision is whether you would like a steam-driven or a pump-driven machine. A steam-driven machine uses steam or steam pressure to force water through the coffee grounds to make an espresso. Some of these machines have machination to produce some foam, or crema, but they technically don’t produce a traditional espresso, rather just a strong cup of coffee. For a newbie like me, this model is perfect! 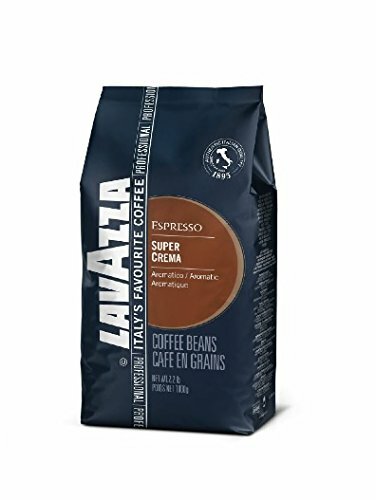 It’s a low-risk purchase at the bargain price of $19.99, and it’s a nice first step into creating espresso-based drinks like macchiatos at home. The downside is, according to my online coffee comrades, it’s not a true espresso experience. It’s more of a really-strong-and-tiny-serving-of-coffee than a traditional espresso. For those who want that traditional experience, you may want to consider a pump-driven espresso machine instead. Pump-driven machines use an electric pump rather than steam-generated pressure to force the water through the coffee grounds. Pump-driven machines are what the baristas use to make a traditional espresso and will give you the store-bought macchiato experience you crave. Semi-automatic machines are more work, while super-automatic automates the process for you. If you are a coffee connoisseur who doesn’t mind taking a little more time to create that perfect espresso, semi-automatic will give you that control you need over the brewing process. If you don’t have the time or interest in tinkering with the process and you just want your morning macchiato fix, then a super-automatic machine is a better choice for you. It all comes down to how serious you are about your macchiato. If you plan on brewing a cup each day, then you might want to invest more money into a pump machine to gain a traditional macchiato experience. If you just want to date and not go steady with your espresso-based drink, a steam-driven model would make more sense since it’s cheaper. A mid-roast bean is best. You don’t want your beans to have been roasted to a point where they shine right out of the bag; this means they have roasted too long. If you are looking for that coffee shop experience, choose a bean that is dark roasted, has a bold flavor, and full-bodied. Since freshness matters, support your local roaster by visiting area coffee shops that roast their own beans in small batches. This ensures you get the freshest beans possible. Organically sourced, rich, smooth, full-bodied beans. There you have it! Say goodbye to your local barista and hello to macchiatos in your pajamas on the couch. Now that you know what you need, it’s time to start brewing. Good luck!